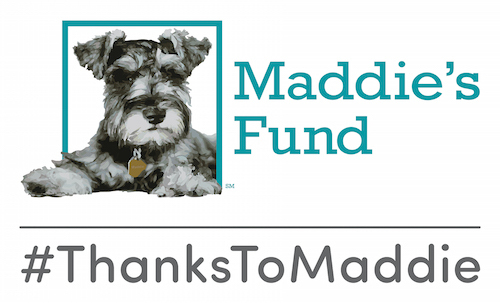 Through the generosity of our sponsors, six outstanding students have been awarded tuition-reimbursement scholarships for the summer semester of the Maddie’s® Online Graduate Certificate in Shelter Medicine. These scholarships are made possible by grants from the ASPCA, Nestlé Purina PetCare Company, and a generous gift from an anonymous donor. Thanks to such incredible support, more students will have the opportunity to gain knowledge that can help save the lives and improve the well-being of homeless and sheltered pets. As students in the Maddie’s® Online Graduate Certificate in Shelter Medicine, they will receive a tuition reimbursement upon successful completion of the current course, Integrating Veterinary Medicine with Shelter Systems. In April 2014, this course received an “Online Education Excellence Award” for graduate courses at the University of Florida. 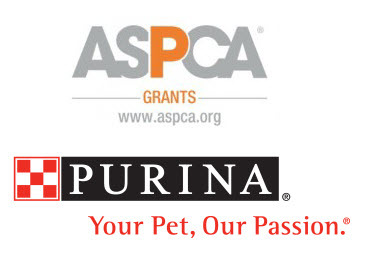 We’re so grateful for the support of the ASPCA, Nestlé Purina, and a large gift from an anonymous donor. Their generosity will improve the health and welfare of countless shelter pets! I currently work full time as a shelter veterinarian at Angels for Animals in Canfield, OH. In 2010, I graduated from St. George’s University with my DVM, completing my clinical rotations at the University of Tennessee. During my senior year I participated in an externship at the ASPCA in New York City with the Humane Law Division. I also hold a B.S. in Animal Bioscience from Pennsylvania State University, and a Graduate Certificate in Conservation Biology along with M. S. in Biology with a focus in Animal Behavior from the University of Central Florida. Upon graduation with my DVM my focus changed from wildlife medicine to shelter medicine after spending a year at Young Williams Animal Center in Knoxville under the mentorship of Drs. Becky DeBolt and Lisa Chassy. I start a volunteer project in June with the Rural Area Veterinary, Inc. in Alaska providing spay/neuter services and preventative medicine to rural communities near the Yukon Delta. On weekends I participate in low cost vaccine clinics throughout the community. I thoroughly enjoy the field of shelter medicine and am very fortunate to love the work I do every day. I am excited to be enrolled in the Maddie’s Shelter Medicine Program and have plans on pursuing board certification in shelter medicine in the years to come. Aside from veterinary medicine, I enjoy traveling, cheering on my favorite sports teams and spending time with my family and three dogs. Laura Adkins is a third year student at the University of Georgia College of Veterinary Medicine. Her primary interests in veterinary medicine include shelter medicine, infectious diseases, behavior, and animal welfare. Prior to attending veterinary school, Laura completed a B.A. 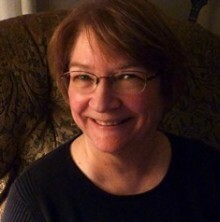 in Mass Communication at Georgia College & State University and spent several years working in pharmaceutical advertising as an account manager. This summer, Laura will be participating in the Merial Veterinary Scholars Program through the University of Florida Maddie’s Shelter Medicine Program. Laura’s future plans include completing the UF Maddie’s Online Certificate in Shelter Medicine and pursuing a career as a shelter veterinarian, including board certification in Shelter Medicine Practice. Kelsey Bertamus is a third year veterinary student at the University of Minnesota with special interests in small animal medicine and nutrition, specifically as it applies to shelter medicine. As President of the Student Chapter of the Association of Shelter Veterinarians at UMN, her main goal is to generate veterinary and public awareness of issues pertaining to pet overpopulation. 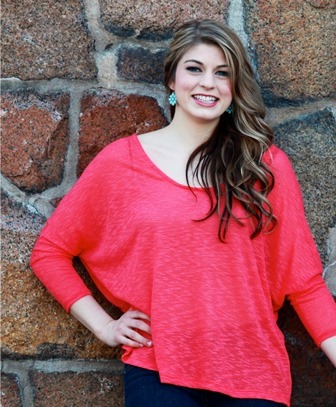 She has successfully forged relationships between the student club and rescue networks in the Twin Cities metro area in order to promote animal welfare and provide assistance with fundraising, education and rescue efforts. Kelsey also holds a position as Vetting & Administration officer for the Orphan Kitten Project at the UMN CVM where she guides foster volunteers through the surrender, foster and adoption process including advising on proper feeding, weaning, as well as health and behavioral issues in order to rescue and place as many homeless animals into permanent homes as possible. 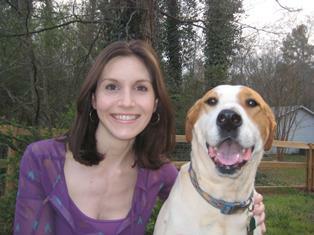 Once graduated from veterinary school, she aims to pursue a career as a shelter veterinarian. 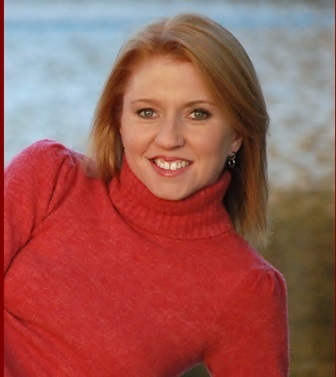 Outside her passion for veterinary medicine and rescue work, Kelsey enjoys running, playing soccer, and traveling. When I graduated from The Ohio State University College of Veterinary Medicine in 1981, there was no such thing as shelter medicine. There was no such thing as behavior medicine. Yet these are the areas of my profession that have given me the greatest fulfillment as a veterinarian. I entered the shelter world in 2001 as full time shelter vet for the Animal Humane Society in Golden Valley, MN, an open door shelter with an annual intake average of 28,000. The Association for Shelter Veterinarians was just getting off the ground. There were no published guidelines. I did a lot of learning and creative problem-solving right there in the field. I loved it. 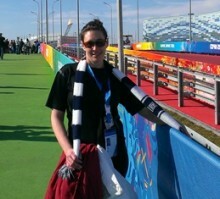 Several times I have left the field but each time I get drawn back in. For two years I was Director of Operations and Shelter Vet for Prairie’s Edge Humane Society, a rural open door shelter with an annual intake of about 8,000. Currently I am the Senior Shelter Veterinarian for Minneapolis Animal Care and Control, which is an open door animal control facility with an annual intake of about 11,000. When I’m not being a shelter vet, I’m trying to keep animals from ending up in shelters. I indulge my passion for behavior via my behavior consultation practice (Veterinary Behavior Options) and I am Director of Behavior Services for Foster My Pet, a nonprofit which provides three months of free foster care for low income families who otherwise would have had to surrender their pet. After being a vet for 33 years I can say there’s nothing I would rather have done with my life. My name is Dr. Jeff Fortna, and I am new to the Maddie’s Shelter Program. I am currently enrolled in my first class within the Program, Integrating Veterinary Medicine with Shelter Systems. While I am merely three weeks into the course, I am already gaining insight to my current shelter practices. My particular areas of interest pertaining to shelter medicine include protocol development, shelter data analysis, sanitation, and spay-neuter techniques. Throughout this Program, I hope to glean valuable insight in the areas of veterinary forensic science and animal behavior and welfare, in addition to developing quality professional relationships in the sheltering community. As background, I am a 2000 graduate of Michigan State University. Upon graduation I spent five years in small animal private practice before venturing into new professional territory. Through a series of unique events and divine intervention, I was asked to help out the local animal shelter as they were without a veterinarian. I knew very little about shelter medicine at the time, but I was eager to lend a hand and expand my horizons. It wasn’t long before I realized there was so much more to shelter medicine than simply spaying and neutering animals! What an exciting opportunity it was, however, as I eagerly embraced the challenges and difficulties that came with my position in shelter medicine. I’ve now spent nine years at Oakland County Animal Control and Pet Adoption Center in Auburn Hills, MI, and I currently hold the position of Lead Veterinarian. We are one of the largest open admission municipal shelters in the State of Michigan, and we have a committed group of veterinary professionals and staff members eager to make positive change in our community for the benefit of the animals in our care. 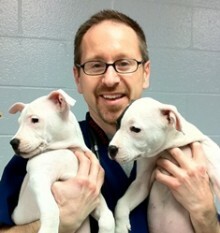 While veterinary medicine is my calling, I now consider shelter medicine my passion. I graduated from the College of Veterinary Medicine at the University of Illinois in 2003. My first 7 years of practice was primarily small animal, with some early exposure to alpacas and horses. Private practice was rewarding, but it excluded an animal and pet-owning population that needed help. Through a twist of fate, the vet position at the local Humane Society opened up, which included a weekly vaccination clinic for the public and performing surgeries for their High Quality High Volume Spay/Neuter Clinic (HQHVSN). Gleaning from my 7+ years of practice experience and after receiving advanced surgical training at Humane Alliance in Asheville, NC, I dove into my new position as the veterinarian at the Quincy Humane Society here in Quincy, IL. Currently, I have performed over 11,000 spays and neuters since I started in 2011. Beyond my duties as a spay/neuter veterinarian, I’m responsible for the health and well-being of animals brought in to the facility who are placed up for adoption. I’ve also found myself serving an additional shelter population. I recently began providing veterinary care for a local transport rescue group, Homeward Bound Waggin, Inc. This group takes animals from local kill shelters and provides temporary housing until they can be transported to a placement rescue organization. Although my experience in private practice was an invaluable tool for me, caring for the animals in shelter situations has required a different approach. And as we have all discovered, the more we learn, the more we realize we don’t know anything. But what I do know is there is so much more I can do for these animals, but I don’t have a formal education in shelter medicine to make that happen. This is where the University of Florida College of Veterinary Medicine Maddie’s Shelter Medicine Program comes into play. Through their program I plan to become a more effective shelter veterinarian for homeless pets and the people in my community.